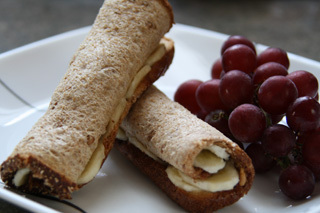 Meals in 15 Minutes or Less - Breakfast 2: PB Rollups! On our second day of Meals in 15 Minutes or Less, we are going for a simple breakfast snack that will keep you satisfied and travels well. They are called Peanut Butter Rollups! With only 3 ingredients, this snack is not only easy to make but easy on the wallet and good for you! 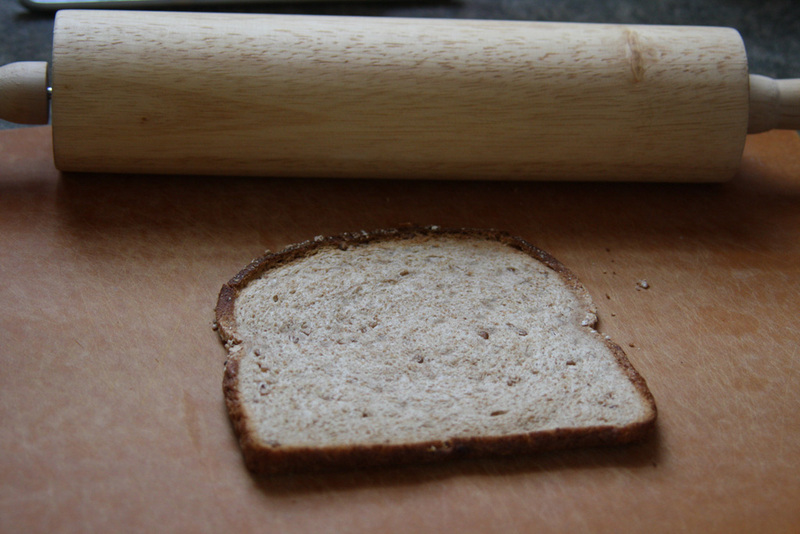 Start by using a rolling pin to flatten out your bread. This will make it easier to spread the peanut butter and roll up the sandwich later. 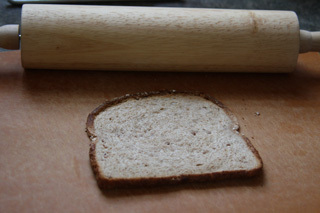 Next, spread the teaspoon of peanut butter evenly across the bread. 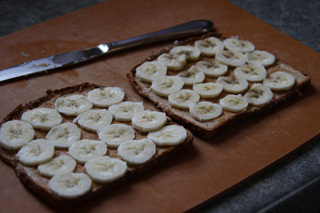 Then cut the banana into thin slices. Lay the slices on the peanut buttered bread. Finally, roll up your sandwich! 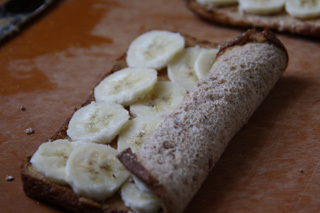 This rollup packs well for travel and keeps for about a day (before the banana starts getting funky). For added fun, slice up your PB Rollup and serve on a plate with a side of fruit! I know you'll enjoy this easy to make snack as much as I do! Have fun!